TwinLine LLC is a well known National / International distributor of Aramid fibers, Kevlar®, Technora®, Vectran®, and ultra-high-molecular-weight polyethylene (UHMWPE) Spectra®. 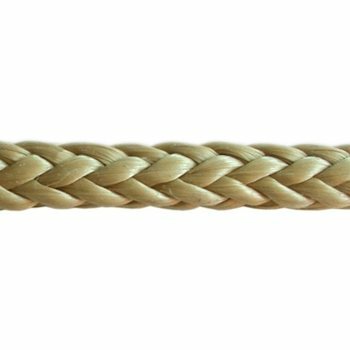 Our products include stranded and braided fibers, sleeved and unsleeved from 50 lb test to several 1000 lb break strengths. We also distribute a unique Polyurethane coated Kevlar® line that can exist in hazardous environments and high abrasion mechanical applications. Our braided Spectra® lines are pre stretched and coated with a special polyurethane. This makes our Spectra® more durable and longer lasting than regular uncoated Spectra® products you can buy at kite stores and on line sellers. This design is perfect for applications which are exposed to sandy or gritty conditions, like at the beach. Sand and other materials have a much more difficult path to encroach into the fibers and slowly degrade the integrity of this cord.